Whichever team wins Monday's national championship game will be the 35th different school to win a Division I men's basketball championship. We'll tell you who's favored on the opening line. Whichever team wins Monday's national championship game will be the 35th different school to win a Division I men's basketball championship. So who's favored? 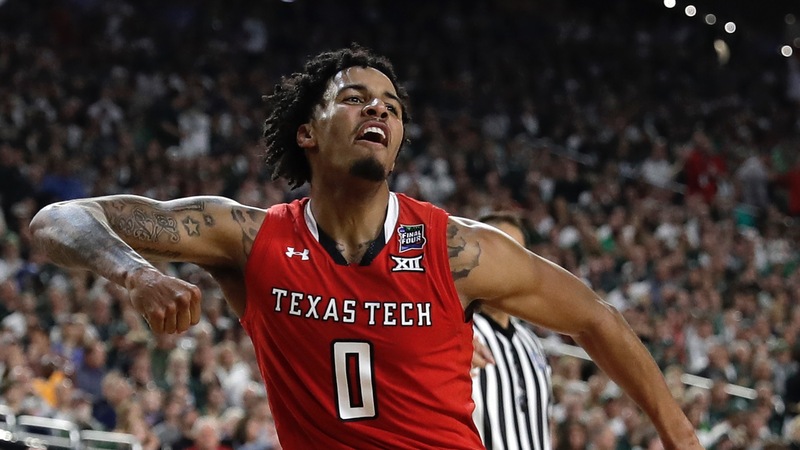 ## NCAA national championship game Virginia is a 1-point favorite over Texas Tech for the 8:20 p.m. CT tipoff on CBS as of late Saturday night at the Westgate SuperBook. The total is 120. The top-seeded Cavs (34-3, 25-12 against the spread), who [beat Auburn 63-62 but failed to cover a 6-point spread](https://www.betchicago.com/final-four-betting-recap-virginia-win-auburn-cover), have lost four of six ATS and had four of their last five games go UNDER. No. 3 Texas Tech (31-6, 20-16-1 ATS), which [beat Michigan State 61-51 as a 2-point underdog](https://www.betchicago.com/final-four-betting-recap-virginia-win-auburn-cover), have won 15 of 16 straight up (14-2 ATS). The last No. 3 seed to win the title was UConn in 2011. Underdogs are 35-27 in the tournament and the UNDER is 31-29-2. __MORE:__ [Baylor favored over Notre Dame in women's title game](https://www.betchicago.com/womens-basketball-championship-odds-baylor-notre-dame-rematch) ## Road to championship __Virginia__ No. 16 Gardner-Webb, 71-56 (-22.5, L) No. 9 Oklahoma, 63-51 (-10.5, W) No. 12 Oregon, 53-49 (-8.5, L) No. 3 Purdue, 80-75 in O.T. (-4.5, W) No. 5 Auburn, 63-62 (-6, L) __Texas Tech__ No. 14 Northern Kentucky, 72-57 (-13, W) No. 6 Buffalo, 78-58 (-4, W) No. 2 Michigan, 63-44 (+1.5, W) No. 1 Gonzaga, 75-69 (+5, W) No. 2 Michigan State, 61-51 (+2, W) ## Common opponent The schools have never played each other, but have one common opponent this season -- Duke. Virginia went 0-2 against the Blue Devils (1-1 ATS), with both games going OVER, while Texas Tech lost to Duke, 69-58, Dec. 20 at Madison Square Garden as a 10-point underdog. The game went UNDER. __PLAY:__ Our [free daily contests](https://betchicago.chalkline.com) for the chance to win a BetChicago prize pack.